and you end up with a camera that's larger and heavier than a Panasonic GM1. Oops. We're back to the ubiquitous attempts at building the "travel compact," which is distinguished by a lens that has a lot of reach, something smartphones can't do. Only this time, we get the viewfinder hump for an EVF and a lot of DSLR wannabe (right down to function buttons). We're also seeing compacts finally get that it is the lens that's one of their key differentiators, and a long, fast constant aperture zoom isn't something you're going to find in a smartphone. You'd think that the companies that call themselves optical experts (I'm looking at you Nikon) would have figured that out first, but it's the hungrier companies that are getting there first. As I've said many times, the problem the camera makers face is the "squeeze": as smartphones get better at their camera function they've effectively killed the lowest level of compact cameras and are gobbling upwards. Meanwhile, the DSLR/mirrorless crowd puts a very low ceiling above the compact camera market. Unfortunately, the camera makers are essentially stepping on each other trying to get into the same narrowing gap they perceive between smartphones and DSLR/mirrorless. The good news is that the consumer is getting a lot of choices. The bad news is that there's not enough market volume for everyone to survive doing the same types of cameras, especially when the consumer is also price sensitive. 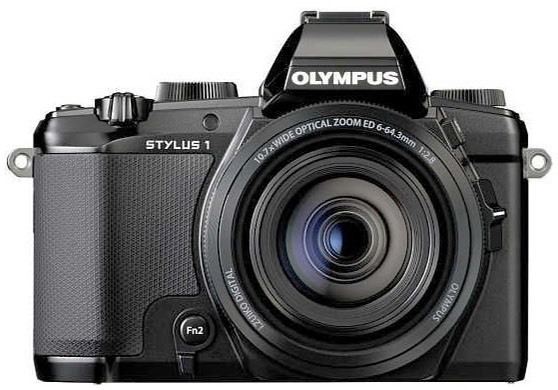 Consider that you can easily find low-end DSLR and mirrorless kits at or under the price of the Stylus 1, and you can see just how low the ceiling is that these cameras have to get under. Basically: give up some performance and you get a smaller camera for the same price. Ultimately, I don't think that wins in the long run.